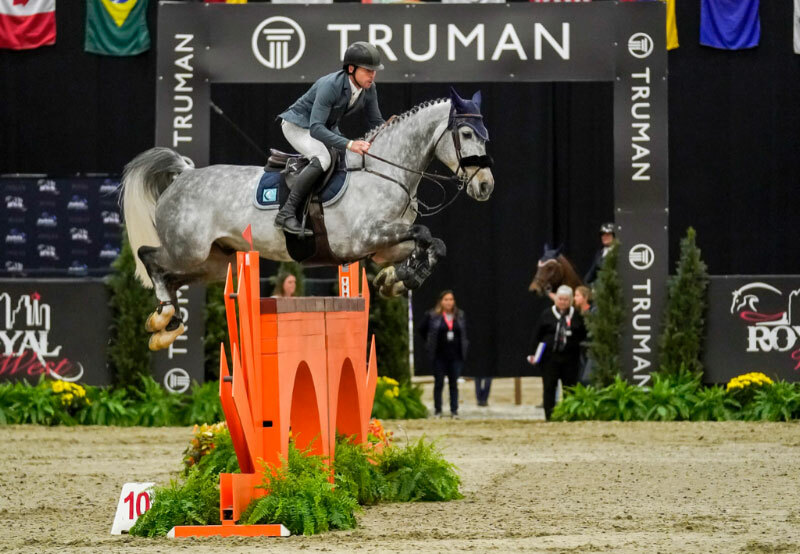 Conor Swail secured the win tonight in the $100,000 Truman Homes Cup CSI3* concluding the final Saturday of Royal West. Swail and Koss Van Heiste went double clear with 44.29 on the board to lock in their place on the podium. “It feels wonderful. I was very happy with my round,” said Swail, “[Koss Van Heiste] is very young, he’s only eight years old. Tonight was a bit of a surprise to be honest but it is certainly a nice surprise.” James Chawke and Grasshopper went fifth in the jump off, just off the pace with 44.30 seconds putting them into second place. Third was awarded to Vanessa Mannix aboard Valentino D’Elte with 48.15 seconds. “Conor, James and Vanessa are exemplary. To be top three was impeccable,” said John Anderson.